Thanksgiving is nearly upon us and the Hometown Habitat team is so thankful for our followers and supporters! Educating people to include native plants in their landscapes is our mission. Whether it is city planning departments, town councils, churches, schools, landscape designers or individuals, people all over the country are embracing this important mission. Your contribution helps us get our message out to these people and many more who are learning about the benefits native plants provide to their hometowns. Hometown Habitat is a big project and as independent filmmakers, we simply can’t make this film without raising money for the production costs. Donations, like the generous one just received from Wild Ones, allow us to pay for another day of production. And with their donation, we topped $26,000! But there is still a long way to go to reach our goal. Please join our team and make a tax-deductible contribution at chesapeakelandscape.org/hometown-habitat. We need you! Each of the stories we are traveling to tell highlights people or organizations who are using native plants to heal and return balance and diversity to ecosystems in their hometowns. We call them Habitat Heroes. Here’s a look at some of those Heroes. “Babbling Brook” EcoArtist Lucy Keshavarz transformed a drab dry detention area into this vibrant wildlife shelter using Florida native plants. Associate Producer/Soundman, Rick Patterson, and I have logged over 10,000 miles since last April, when production began in south Florida where we featured EcoArtists. These artists are finding ways to use their art to help solve environmental problems in their hometowns. We follow three, unique artists as they identify eco-issues, collaborate with experts to solve the issue, and involve the community in the eco-art solution. Rebecca, one of the thousands of volunteers helping to make it possible to reach the planting goal of one million trees! Urban Tree Canopy. Tree Canopy. We just returned from filming in New York City. Something really marvelous is happening there. Tree planting and lots of them! 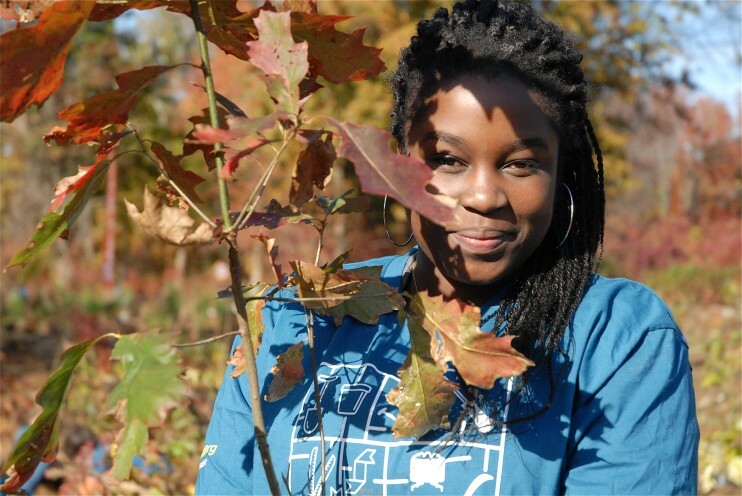 The Million TreesNYC Campaign set out in 2007 to restore and increase the tree canopy by a million trees in ten years. Unbelievably, the project is two years ahead of schedule! We explore just how that is possible and the multiple eco-system services the tree canopy provides. Steve Apfelbaum. 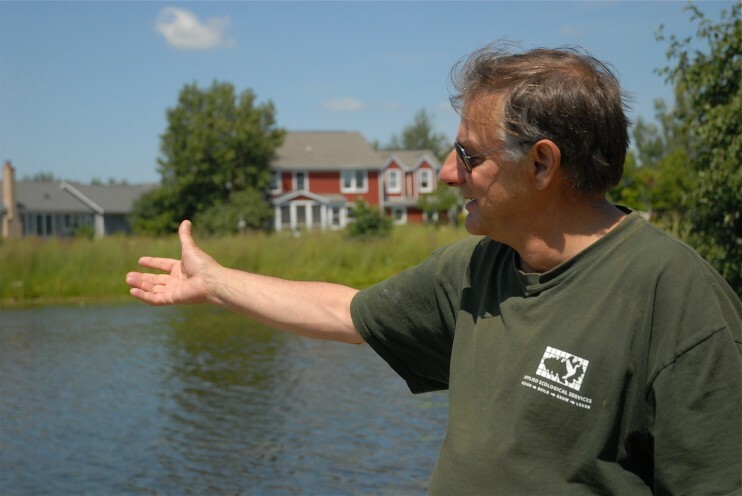 Ecologist Steve Apfelbaum, has been doing ecological restoration work since the 70’s. He believes that, in “the best conservation developments the health of the land is the first consideration. 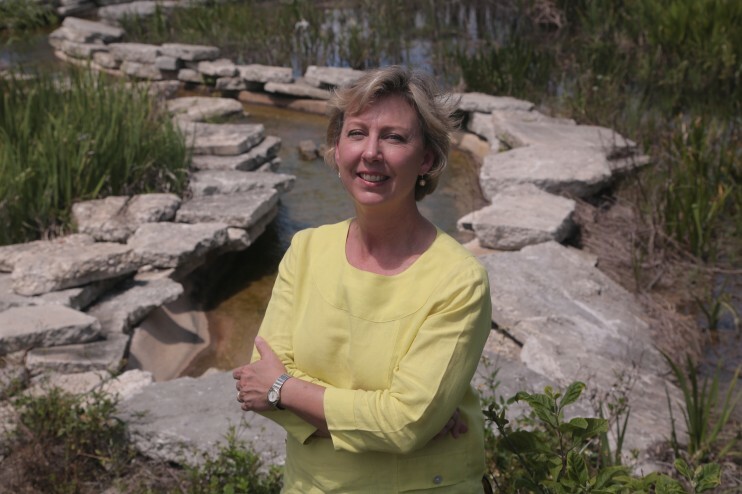 Healthy natural systems should be integrated with the built environment, to the mutual benefit of people and nature.” We follow Steve and visit Prairie Crossing, (Grayslake, Illinois) where over half of the acreage is legally protected from development. The site design filters storm water runoff through these protected prairies and wetlands-no storm drain infrastructure! It can be done! 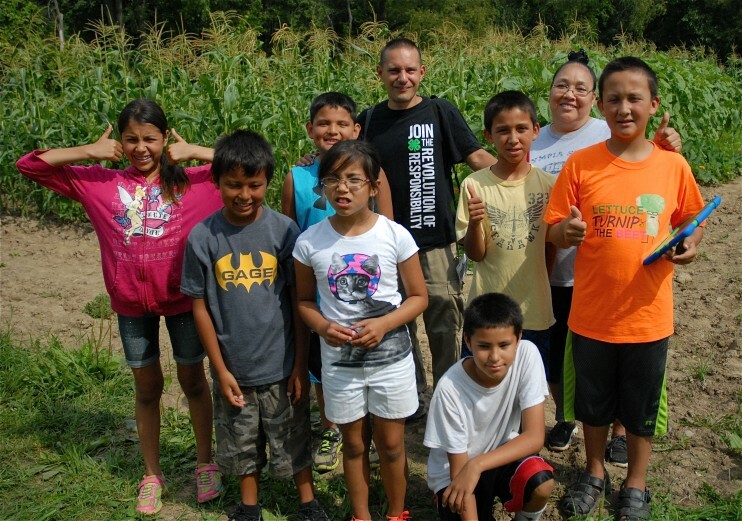 Seneca students learn about native plants including growing and harvesting the traditional Three Sisters natives, corn, beans and squash. Look for our next update and more stories of Habitat Heroes!